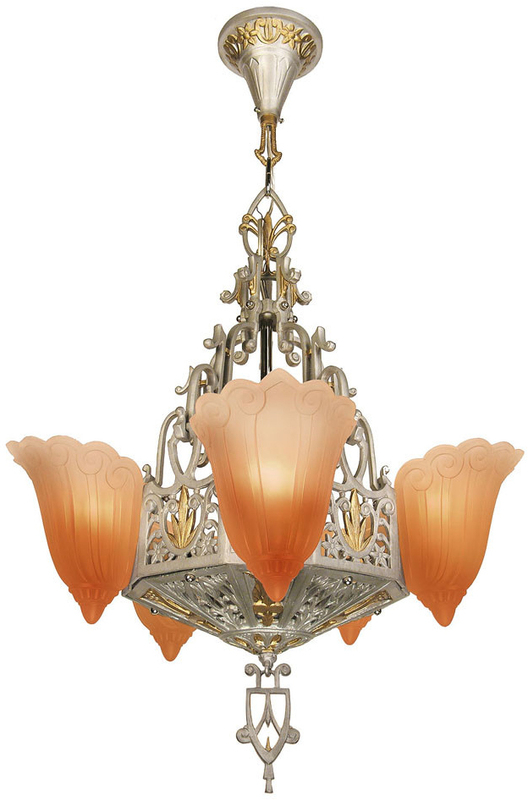 This chandelier features gold highlights on a white metal frame, just like the original Fleur de Lis fixture that's in our museum. 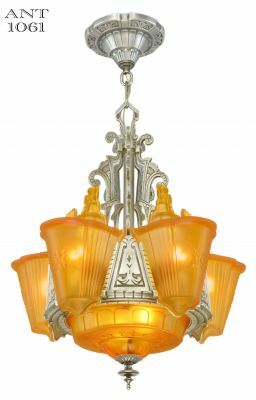 We reproduced it exactly like our museum-authenticated Lincoln Mfg, circa 1930. 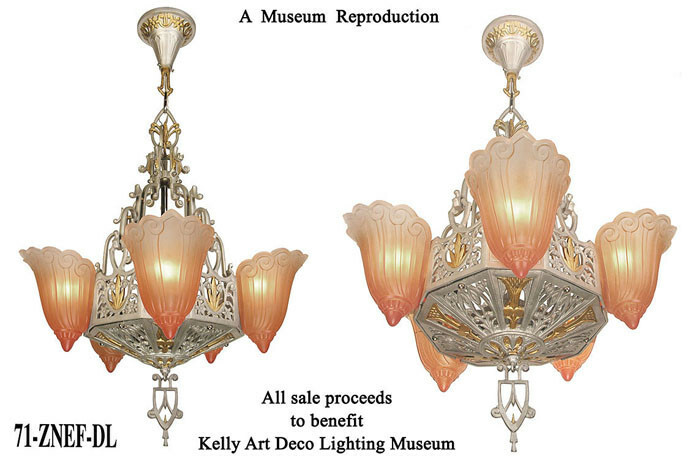 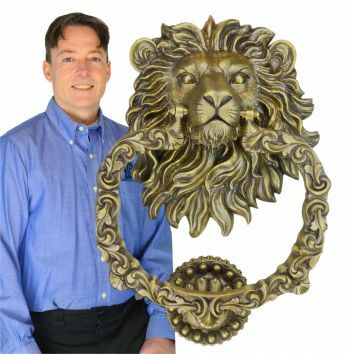 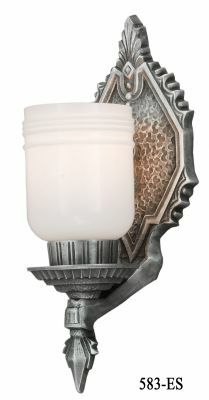 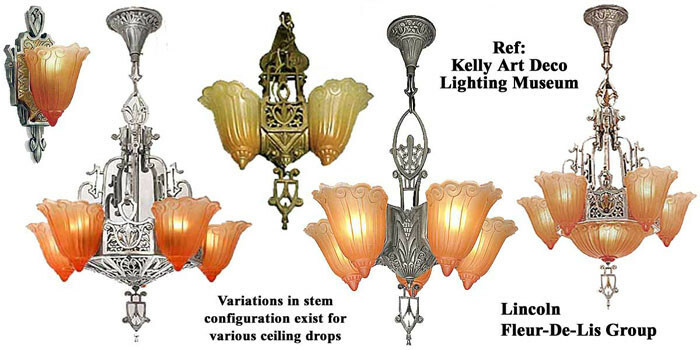 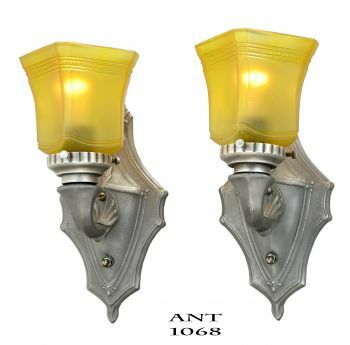 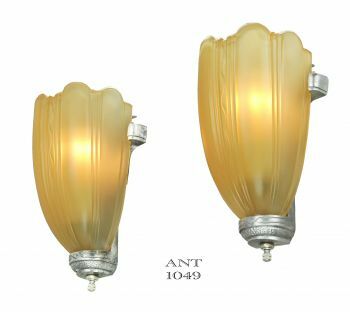 Our reproduction is all lost wax cast in white metal to capture the best Art Deco tradition and style. 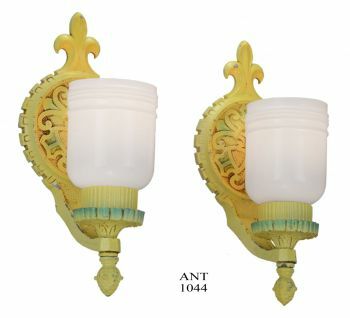 We then add the polychrome gold highlights, making this reproduction difficult to distinguish from the original. 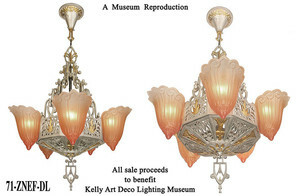 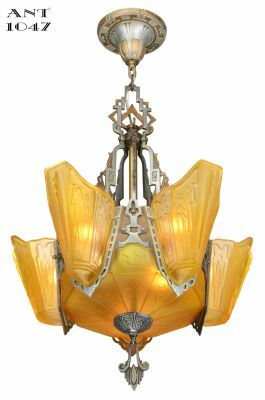 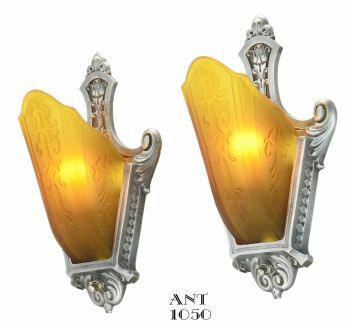 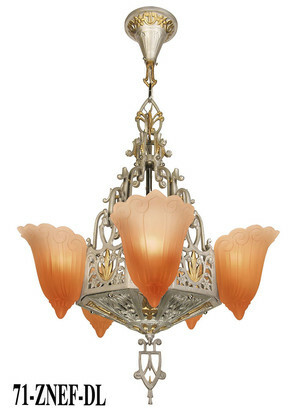 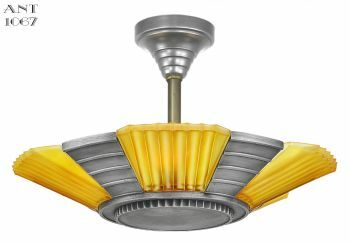 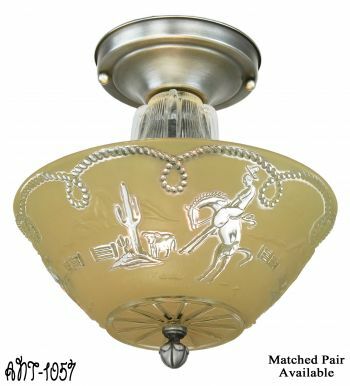 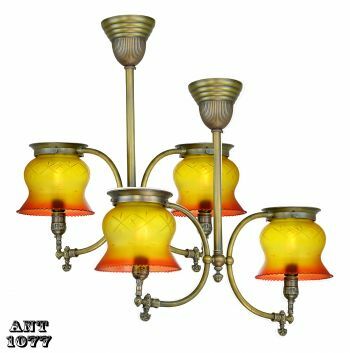 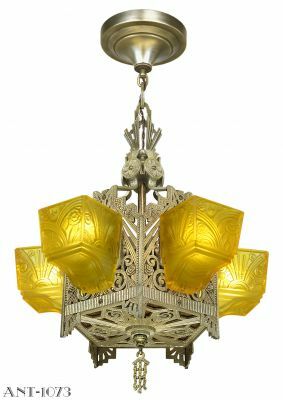 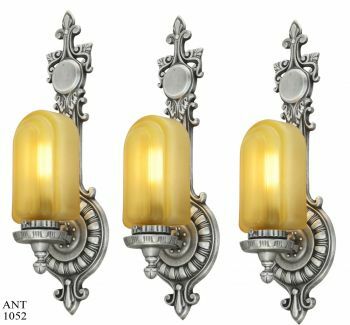 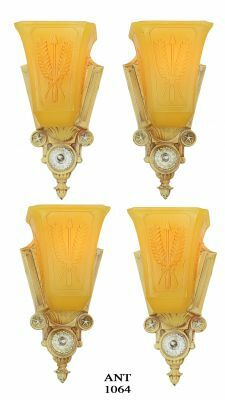 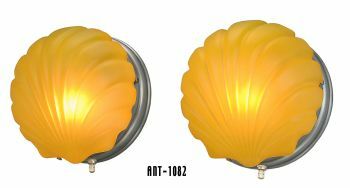 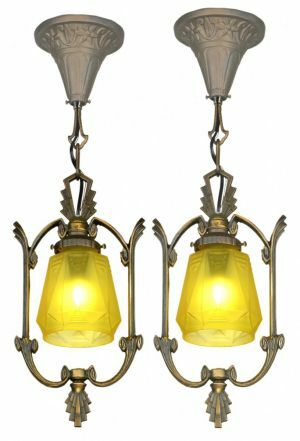 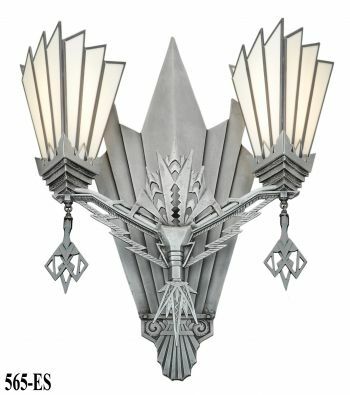 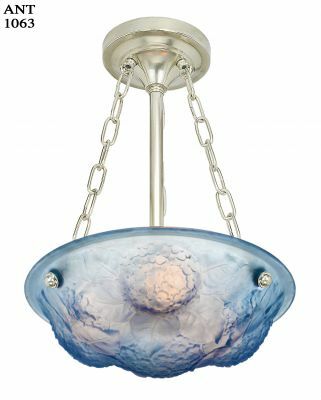 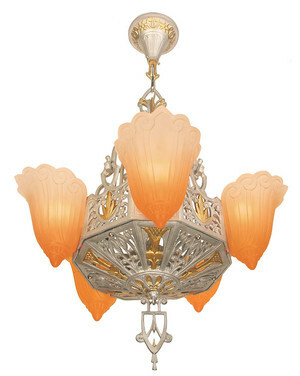 This Art Deco light fixture includes the authentically reproduced shades, which have an orange tint. 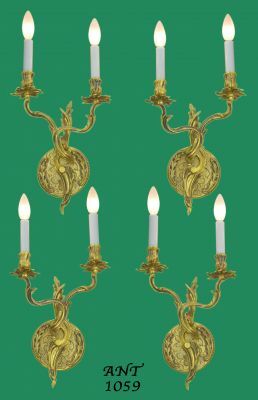 Five lights, with a pierced bottom design. 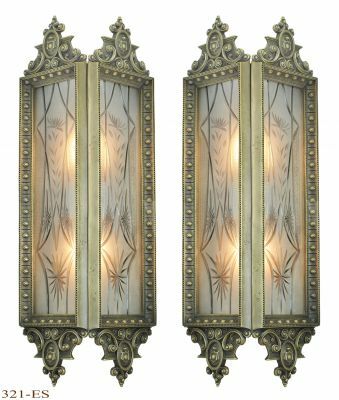 The five sockets can handle up to 100 watt incandescent bulb each, or purchase our optional LED bulbs to maximize your energy savings. 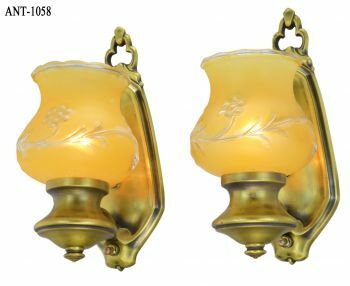 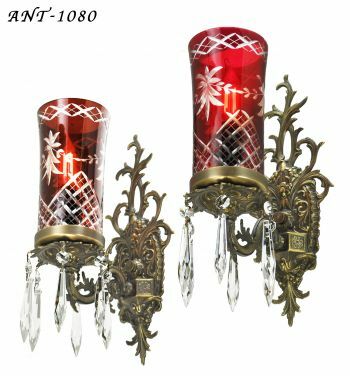 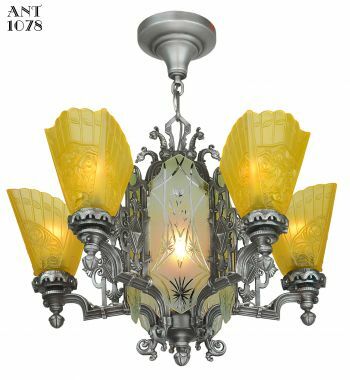 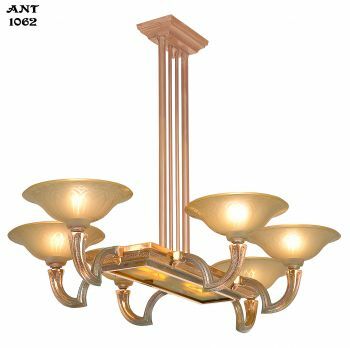 Makes running the chandelier all night long, perhaps as a night light, very economical indeed and cool to the shades as well. 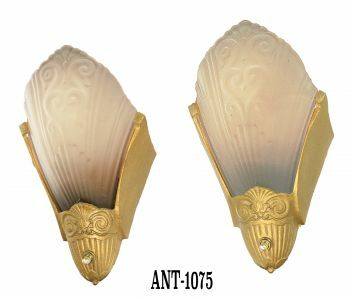 With the substitution of the free "short kit", the height will be 26 1/2" with the standard finial, or 24" with the short kit finial. 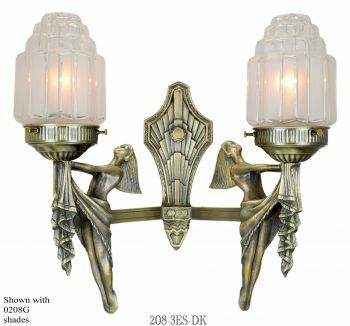 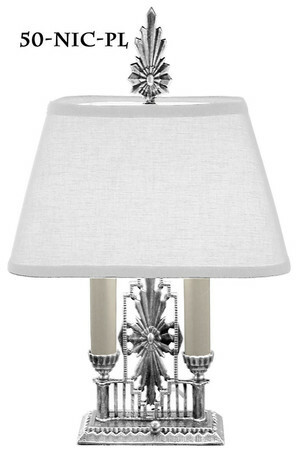 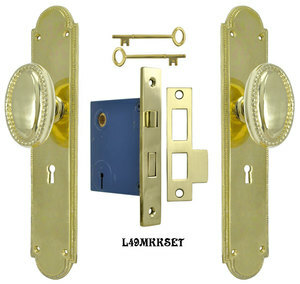 Now everyone can enjoy the beauty of Lincoln's Art Deco Fleur de Lis design! 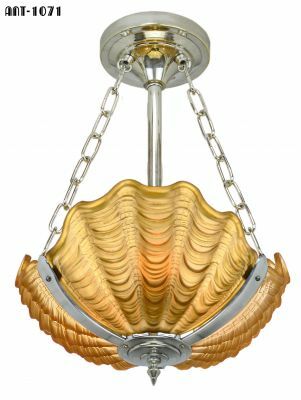 Height: 36 1/2" to 48 1/2", adjusted by removing chain links. 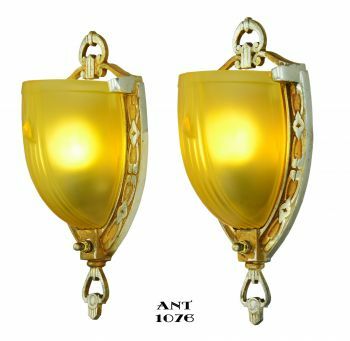 Wired in our UL approved lamp shop, with sockets capable of up to 100 watts incandescent each. 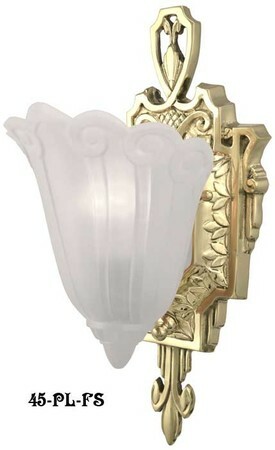 This yields a potential total of up to 500 watts incandescent.